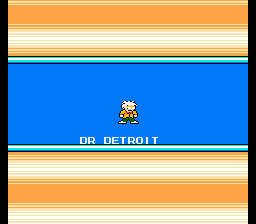 The Mega Man NES Boss Intro and Boss select screens now work in the new GFX Generator engine, and the Fakeshot (8-bit) generator has been update to use the v.2 versions, including the Shops from the separate River City Ransom Shop generator that was upgraded last week. 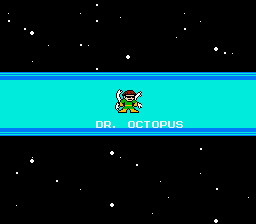 New Mega Man-stype edits: Hawkwoman/Hawkgirl (DC Comics), Dr. Octopus (Marvel Comics), Doctor Emmitt Brown (Back to the Future) and Doctor Detroit. 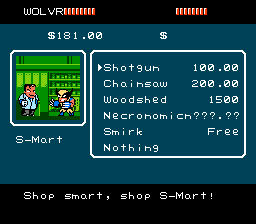 The River City Ransom Shop generator was updated, too! Two new shops have been added: Good Burger, Daddy Green’s Pizza. New sprites include Ed (Good Burger), Lester Oakes (dissatisfied Good Burger customer), Daddy Green (the Last Dragon), the Teenage Mutant Ninja Turtles (they heard a new pizza place was available! ), Paul (River City Ransom: Underground), Scott Pilgrim and Ramona Flowers, Batsu and Hinata (Rival Schools). That’s not all! X-Men: CotA portraits of Jubilee and Gambit (made from Jim Lee art) have been added to the X-Men:CotA and main image generators! Also: the part of the GFX Generator where you enter text now has a border for each entry and description so you’ll know exactly what’s what. Well, in the generator, not life itself. Also: I’ve got FOUR commission slots open! 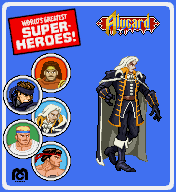 Check out the Illmosis.net commissions page for all the details on how you can get me to make a sprite or two for you! 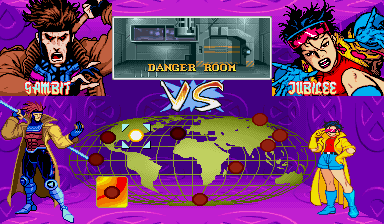 Two new single image generators have been added: X-Men:Children of the Atom vs. screen and River City Ransom shops (newly added to the GFX Generator engine). Of course, there’s some new pixel art for you to have fun with in both of them! – River City Ransom: NES-style sprites of Provie, Bruno, Glen and Lilly (shop keeper) from River City Ransom: Underground, Ash Williams in S-Mart gear, the Merchant (RE4), and an improved Abobo (the old version was in the generator, but I didn’t like it enough to add it to the gallery). Along with those sprites and the new generators, new CotA portraits made from art by Jim Lee and Alan Davis for Mystique, Jean Grey (redone), Phoenix, Rogue, Nightcrawler, Forge, Captain America and the Black Panther. The standalone CotA generator only has characters with all the necessary portraits and name graphics for the screen, but you can still use the one in the main image generator, even if the characters don’t have all the CotA goodies (though a few secretly have name graphics).